The Days Round Up: Whilst the rainy weather in Brisbane kept most of the general community away, the awareness event at New Farm Park was attended by around 70 - 80 Queensland Lyme patients, relatives and friends. A BBQ, face painting, balloon twisting, a performance by Emily Madden and talks by Naturopath, Amina Eastham-Hillier and Soft-Tissue therapist and film maker, Rebecca Mills, kept the afternoon rolling by. 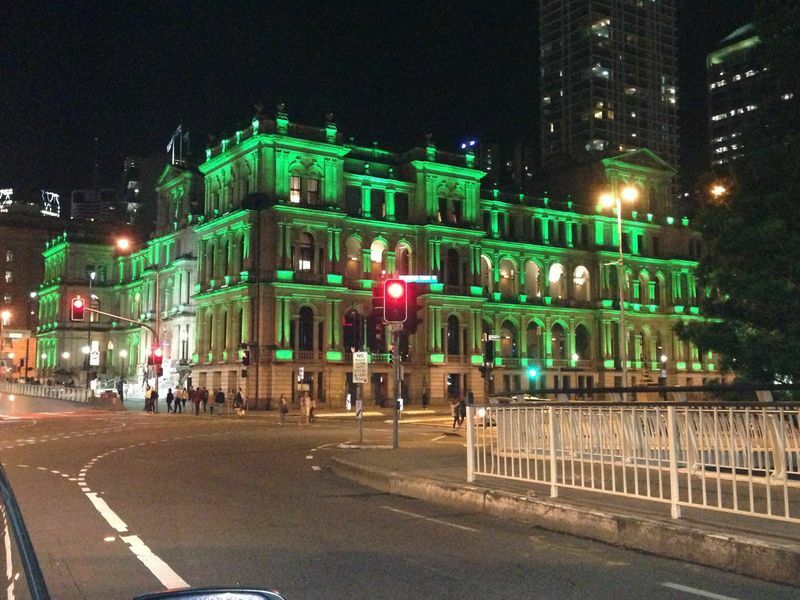 The awareness in Brisbane didn't stop with the Saturday afternoon event, but continued with many buildings shining for Lyme: Australia had 17 buildings and landmarks lighting up for Lyme on the week-end of the WWLP. Thanks to the hard work of Zara Ward and the Brisbane team - 8 of those buildings were from Brisbane and surrounds. These were: Park Regis North Quay Hotel, The Treasury Casino in Brisbane, Kurilpa Bridge, Reddacliff Place, Queensland Performing Arts Centre, Brisbane Convention and Exhibition Centre, King George Square and the Gold Coast's iconic Skypoint Q1 observation deck. Bottom Right: The Treasury Casino shining Green for Lyme Awareness (Photo thanks to Sharon Whiteman). See below for more photos of buildings/landmarks lighting up around Brisbane. 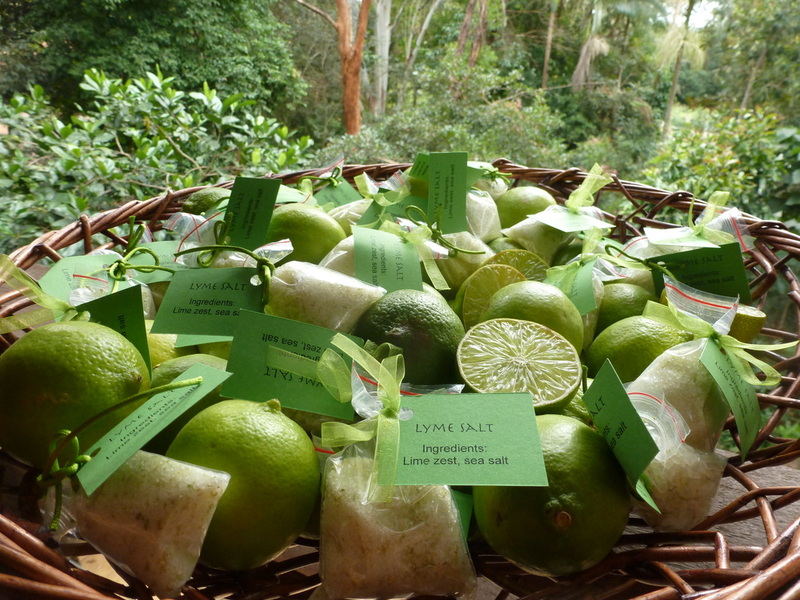 See below also for link to The Project segment on Lyme disease; aired the 9th May, 2013. Rachael Robins, Greg Jervis, Zara Ward and Sharon Whiteman and everyone that helped to support this event. Shout Outs also to : Naturopath Amina Eastham-Hillier from Noosa Holisitic Care for coming along and chatting to all ; Beyond the Bandaid's Rebecca Mills for coming along and talking to the crowds, as well as photographing and videoing the afternoon. 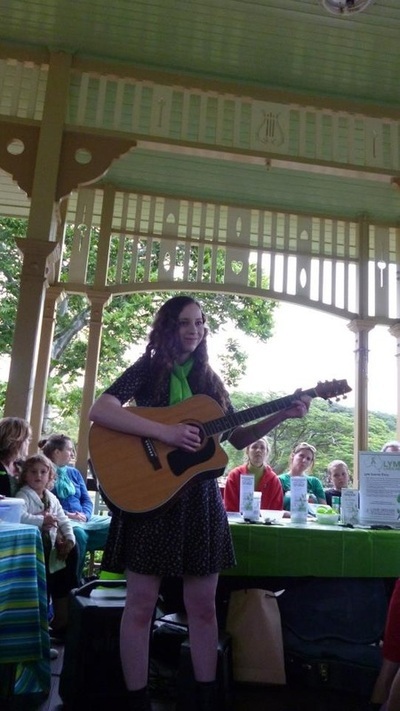 Lyme patient and songwriter/singer Emily Madden for performing the song she wrote: "Right These Wrongs". "Right These Wrongs", Lyme Theme Song written by Emily Madden, was sang at a number of events around Australia. At the Brisbane event Emily performed her song live. once there use the down arrow button to scroll down to the May 9th episode. Kirsten for photos of : Brisbane Convention & Exhibition Centre, Kurilpa Bridge, Reddacliff Place, Queensland Performing Arts Centre, The Treasury Casino) and Zara for the aerial shot of Kurilpa Bridge and photos of Park Regis North Quay Hotel. As well as the pictures from the Brisbane Awareness event seen above, there are also additional pictures on Facebook. 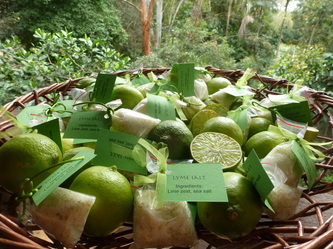 The Lyme Disease Association of Australia will have Awareness Brochures to hand out. 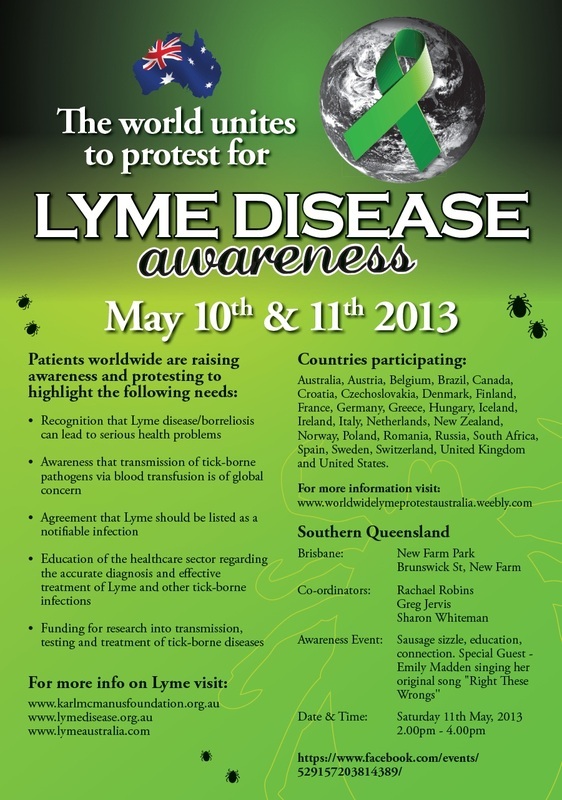 They will also have various Lyme merchandise (eg; wristbands and Lyme Stickers) available to purchase. Doctor Andrew Ladhams from Bare Bones Medicine & Co will be there to have a chat and talk to the public. 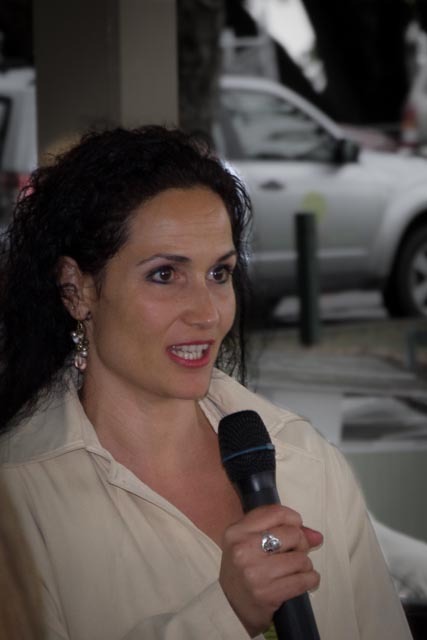 Beyond the Bandaid's Rebecca Mills and Naturopath Amina Hillier from Noosa Holisitic Care will also be in attendance to chat to all. her original song written for Lyme Disease Awareness "Right These Wrongs"